One Media iP Group Plc is pleased to announce that it has entered into an exclusive long-term digital exploitation license agreement with HiBrow Productions TV & music. HiBrow Productions was founded in 2008 by the London based Scottish film director Don Boyd, who gathered a wide and eclectic range of prestigious professionals from the international arts industries, the HiBrow ‘Curators’ whose remit was to create high quality arts content exclusively for its website www.hibrow.tv. The company’s experienced film-making teams have produced over 200 hours of original High Definition digital video content featuring numerous internationally acclaimed artists such as Joanna Lumley, Simon Callow, Brian Cox, Gary Kemp, Mike Leigh, Danny Boyle, Boris Johnson, Darcy Bussell, Phil Davies, Sebastian Foulkes, John Le Carre, Philip Pullman, Rupert Everett to name just a few with content spanning genres and specialties from across the arts spectrum, authors, actors, dancers choreographers, conductors, musicians, directors and designers all feature in this best of breed collection. It has enjoyed successful associations and partnerships with several major institutions including the BBC and Sky Arts. 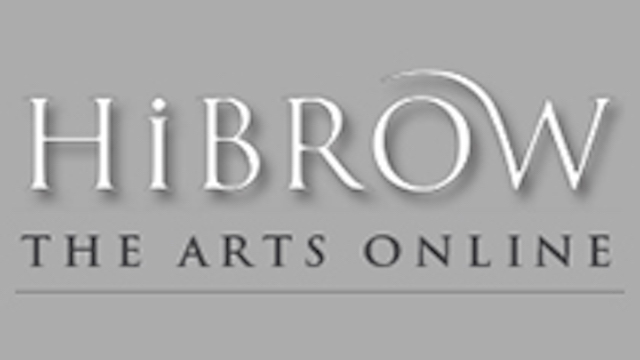 In November 2013, HiBrow was awarded a significant grant by the Arts Council England to support its 2014/16 production programme. An award that clearly recognised the significance of HiBrow’s contribution to the art world through the content it was creating.